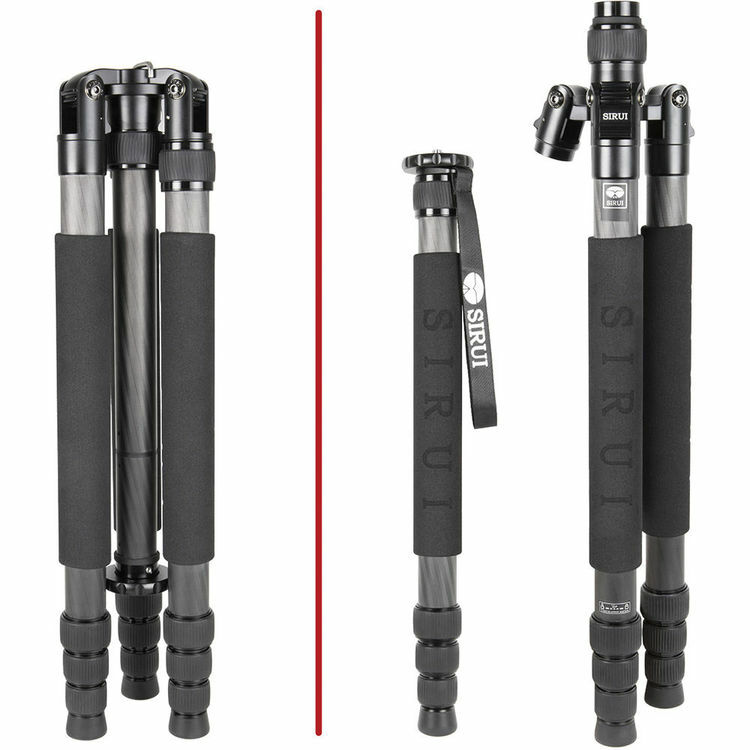 The N-2204X Carbon Fiber Tripod from Sirui is a great tripod for anyone who needs to pack light and reserve the option to, at a moment's notice, slim down their camera's support system to just a monopod. 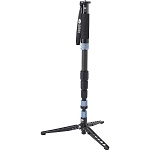 The N-2204X features a leg that unscrews and attaches to a second included mounting plate to form a monopod. And, differing from the N-2204 model, the N-2204X features a split center column for a fast and easy transition to low-angle shooting. 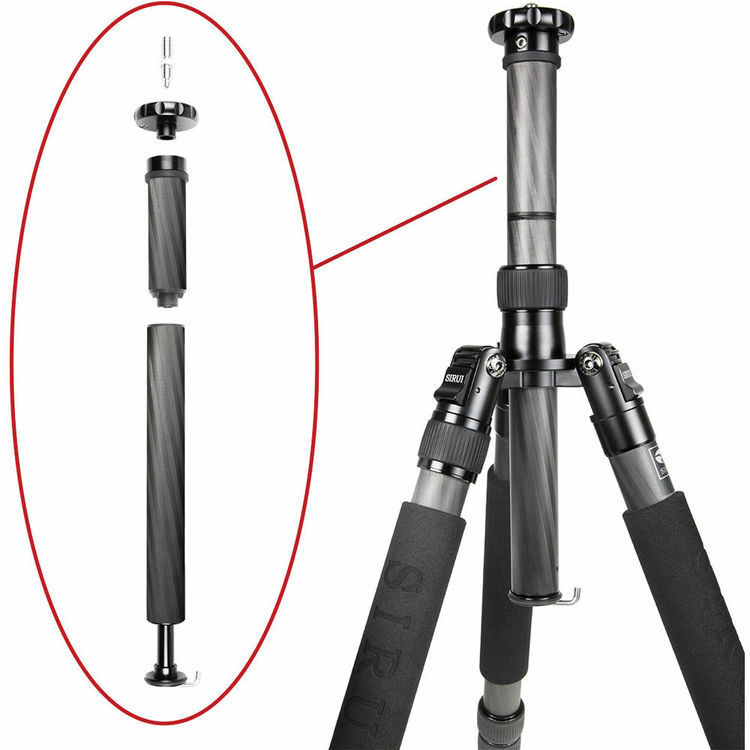 Reaching a maximum height of 65", the tripod itself is quite versatile in its own right – the N-2204X weighs just 3.3 lb but supports up to 33.1 lb thanks to its thick leg sections (only 3mm difference in diameter of successive leg sections) and carbon fiber construction. 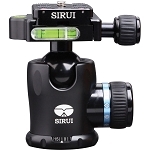 It's suitable for use with just about any head and any 35mm camera, DSLR, point & shoot, or camcorder. 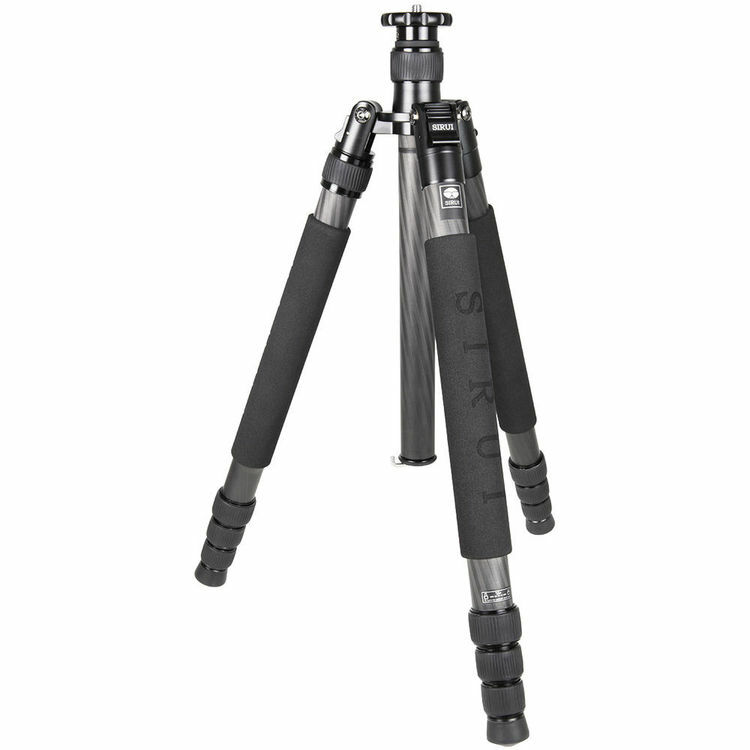 The N-2204X tripod's legs fold upward 180° to achieve a relatively compact folded length of 18.1" – even with select head models attached. The entire package stays very compact to fit comfortably in most carry-on bags and many backpacks. A custom carrying case with padded handle is included. 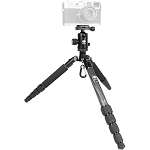 The tripod's center column is reversible, and the N-2204X comes with a short center column so that you can set up extremely close to the ground for ultra-low-angle shooting. 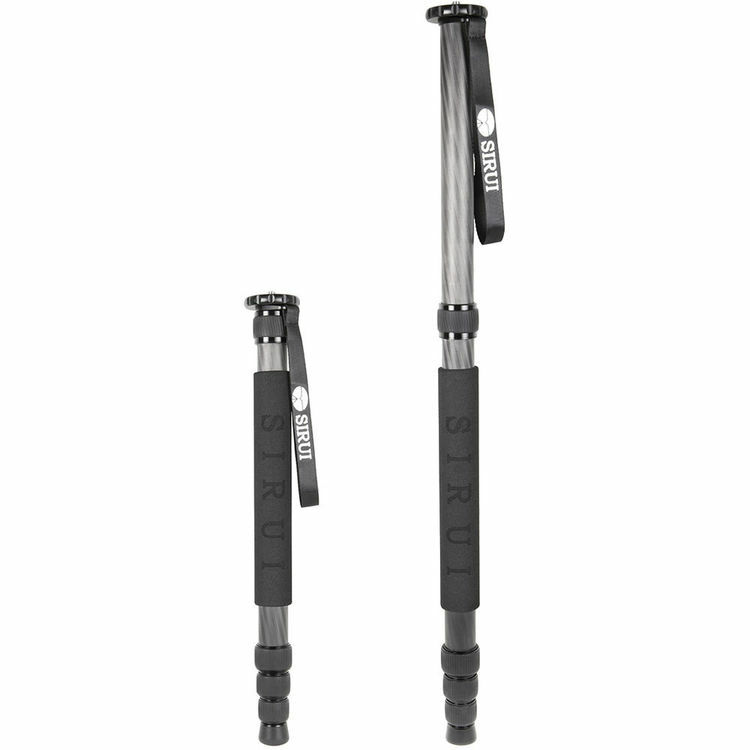 With the center column split and the long section removed, you can set the legs at their widest angle (80°) and shoot from only 6.7" off the ground. 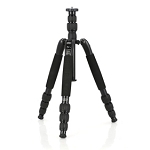 The N-2204X tripod easily converts into a monopod. 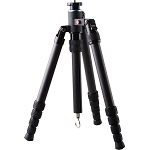 Short center column allows the tripod to reach extremely low positions – minimum height of 6.7". 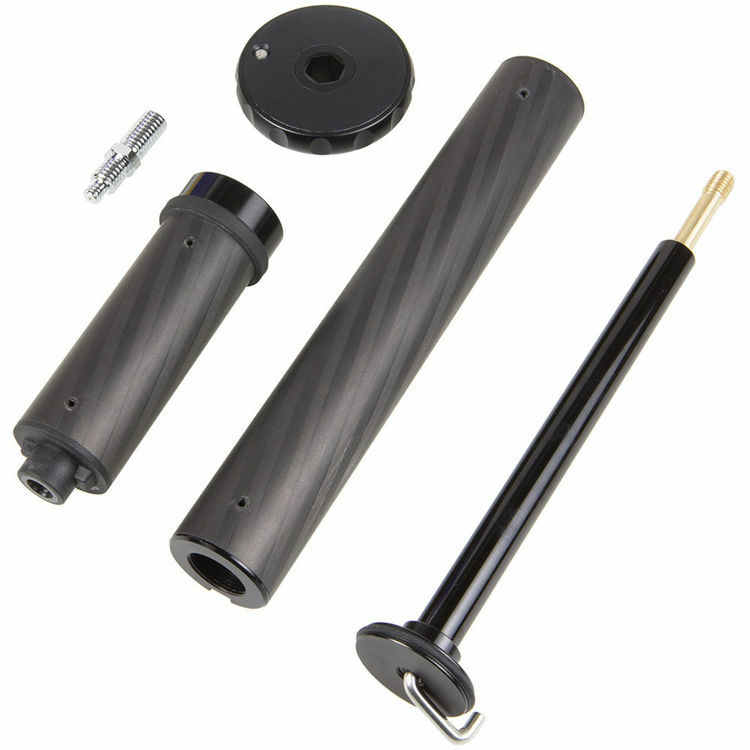 An additional mounting plate attaches to the unscrewed monopod leg to mount a camera. 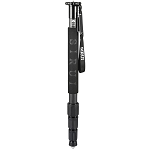 A wrist strap is included for security in case the operator's grip slips. Center column hook allows you to add a ballast for a sturdier setup in windy conditions. 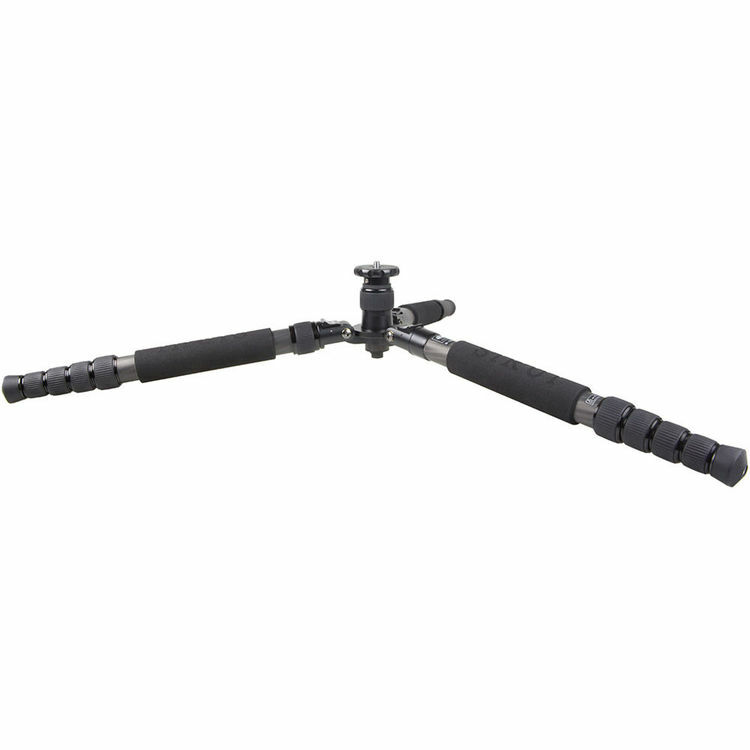 Reversible 1/4"-20 & 3/8"-16 screw on mounting plate enables the attachment of virtually any camera, camcorder, or head. Well-designed padded travel bag with sturdy shoulder strap for carrying are included. 21.4 x 6.1 x 5.5"